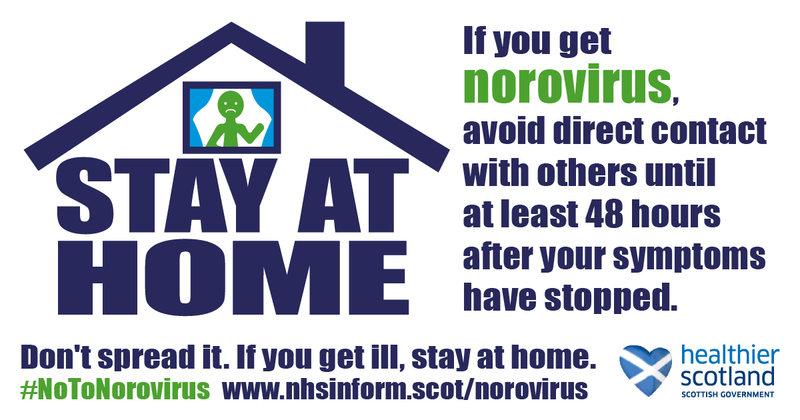 If you catch norovirus, stay at home for 48 hours after your symptoms have stopped to avoid spreading it further. 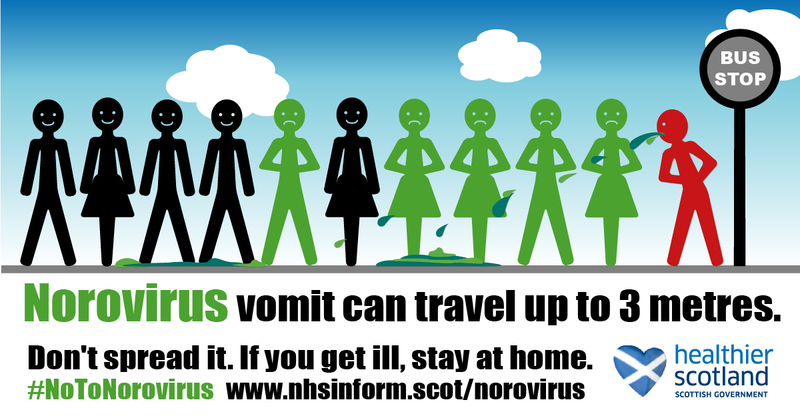 Norovirus is one of the most common stomach bugs in the UK. It's also called the "winter vomiting bug" because it's more common in winter, although you can catch it at any time of the year. Norovirus can be very unpleasant but it usually clears up by itself in a few days. You just have to let it run its course and avoid contact with other people until you feel better. If you catch norovirus you should try to keep it to yourself. 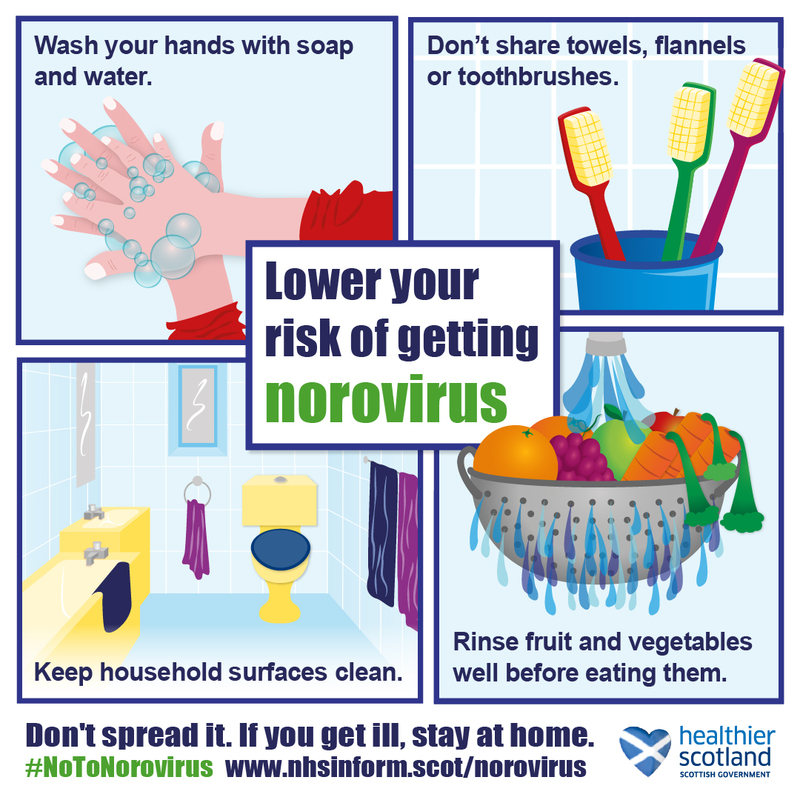 Staying at home and keeping your hands clean can help avoid spreading norovirus to others. You can still be infectious up to 48 hours after your symptoms go, so it’s best to avoid seeing other people during that time. 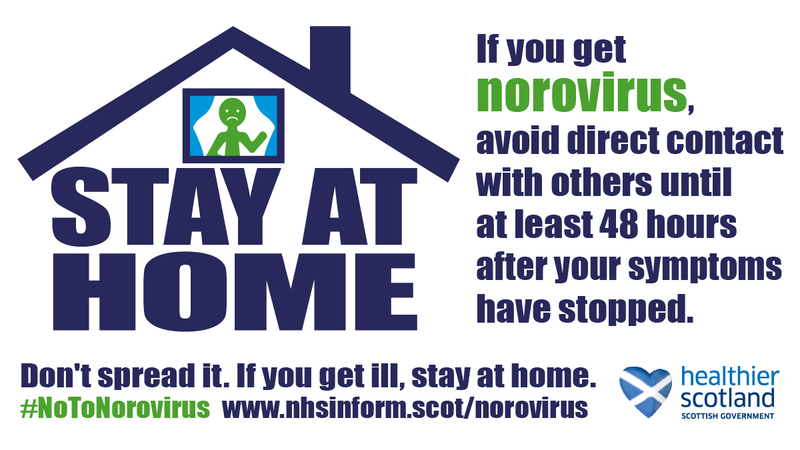 It’s especially important to avoid visiting anyone in a hospital or care home, as norovirus is more serious for people who are already ill.
For more information about norovirus or how to look after someone with norovirus read the stay at home leaflet. 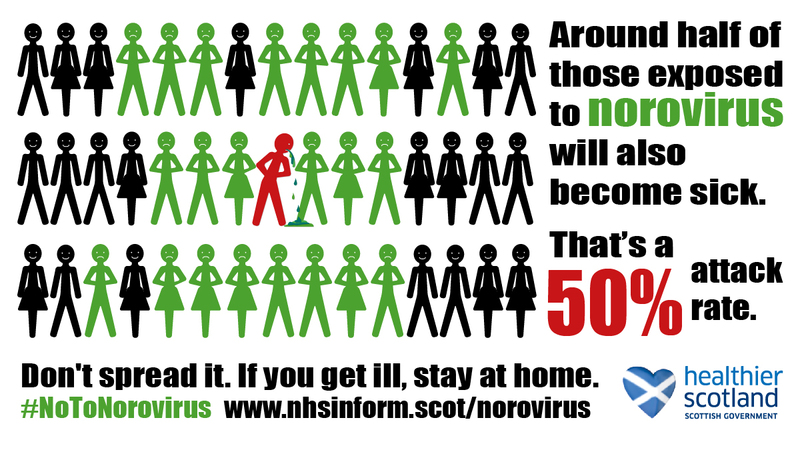 If you have any questions about norovirus, call the NHS inform helpline free on 0800 22 44 88 (textphone 18001 0800 22 44 88). The helpline is open every day 8am to 10pm and also provides an interpreting service. For this year’s seasonal awareness campaign, we have developed some resources for organisations and individuals to help spread the message.